Get ready for bliss with this seductive, enticing blend to honor you. Pure essential oils of jasmine, amyris (also known as West Indian Sandalwood), ylang-ylang and hypnotic Damask rose. Enjoy the sweet floral scent. 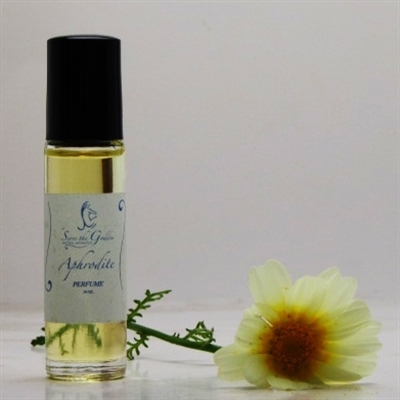 A bridal favorite, Aphrodite Goddess Perfume is a sweet scent of love. Comes in a roll on perfume bottle. Please shake before use as contents settle.